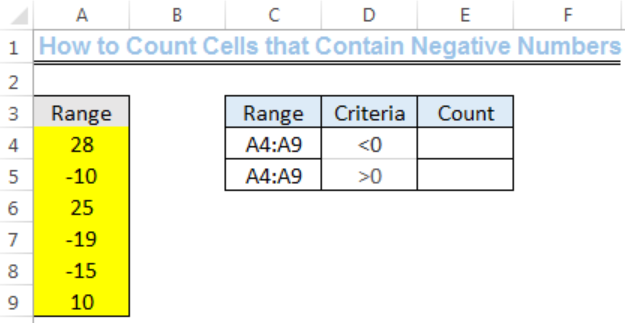 We can count cells that contain a negative number within a specified range of cells with the COUNTIF function. We will walk through the procedure by following the simple steps below. We will set up our data by inputting the POSITIVE and NEGATIVE numbers into Column A, titled, RANGE. We will name Cell C3 as Range, Cell D3 as Criteria, and Cell E3 as Count. 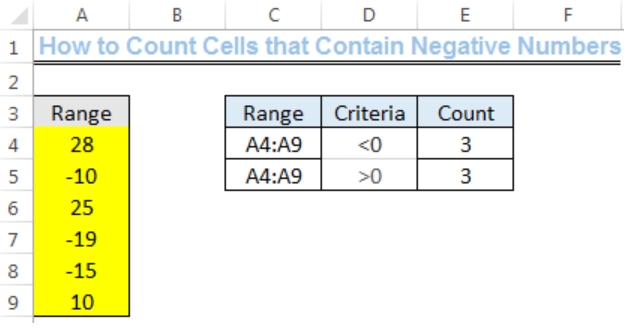 The Range is A4:A9 and the criteria are for the formula to count cells that have numbers that are greater than and less than zero. We will input the formula below into Cell E4. We will press enter to get the result. We can do this by changing the less than sign to greater than sign. 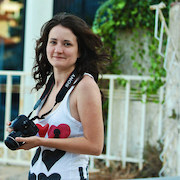 We will input the formula below into Cell E5 and press enter. 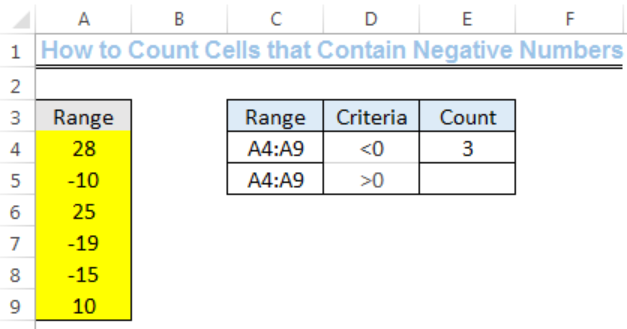 The COUNTIF function counts the numbers that are present in a range that complies with specified criteria. 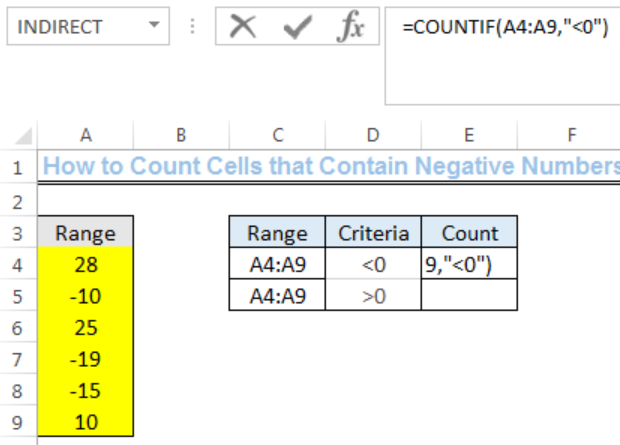 Where the specified criteria is less than zero, the COUNTIF function returns the number of cells that have values which are less than zero. Conditional formatting to color cells red for negative numbers isn't working. It doesn't read the number as negative. Within the sub-total function is it possible to count only unique cells within that sub-total level. 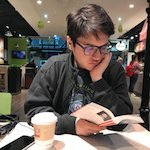 For example rows contain both and order number and a line number. I want to count the number of order numbers and the number of lines (which will be different as some order numbers will have ore than one line).